Within easy reach of SuperClubs Ironshore Golf and Country Club, Three Palms Ocean Course, and Half Moon Golf Course, this Montego Bay resort is on a white sand beach. Area attractions also include Doctor’s Cave Beach and Dead End Beach. 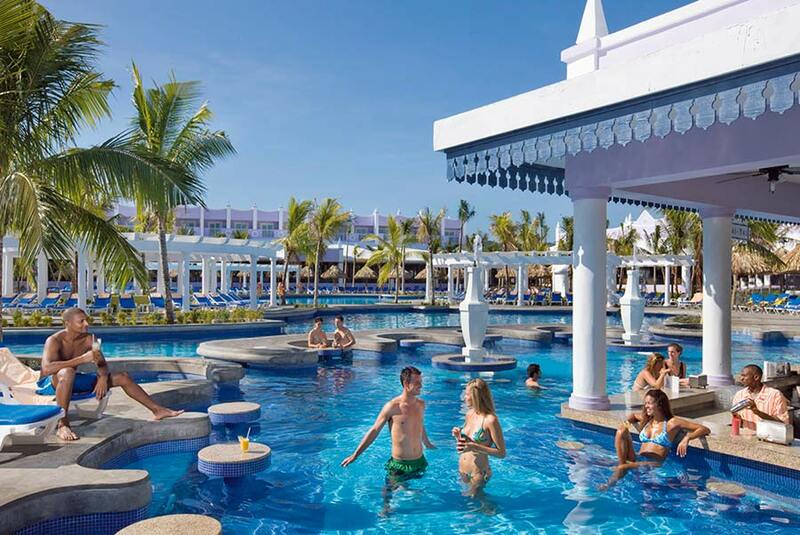 Catch some rays on RIU Montego Bay All Inclusive’s white sand beach, pamper yourself at the full-service spa, or enjoy snorkeling. Guestrooms open to balconies with beach, ocean or partial ocean views and feature televisions with premium satellite channels and fireplaces. This resort is all-inclusive. Onsite food and beverages are included in the room price (some restrictions may apply).Gratuities and taxesGratuities and taxes are included. Additional gratuities at guests’ discretion are accepted.